Only the finest wines for the daughters of tobacco, airline and beer tycoon Lucio Tan. Vivienne recounted how they celebrated her sister?s birthday with a decades old wine ? a perfect marker for a special celebration. ?Say ?#cheese?. Happy #happy#happybirthday #birthday to my ever so #loving #love and #wonderful sister.. as always, you just have a way of orchestrating the night in such manner everyone can?t help but to #relax and #enjoy the night. With the minimum basic of awesome dishes paired perfectly with #grandcruclassebottles, we ended the #night on a personal note.. 2005 Opus One #opus #opusonesigned by the late Baron Philippe Rothschild and Robert Mondavi, a bottle tucked away for a decade and meant to be consumed on a special occasion. And yes #sister, Screaming Eagle is a bottle we shall consider in one of our future special occasions. I want to thank God for giving us such perfect times together and looking forward for much more happy and funny moments, until our hair turns gray and skin gets wrinkly!! #sister #party #foodie #wine#napavalley #napa @iktl618 @[email protected]? @thevivtan said. The daughter of taipan Lucio Tan really made the most out of her birthday celebration. 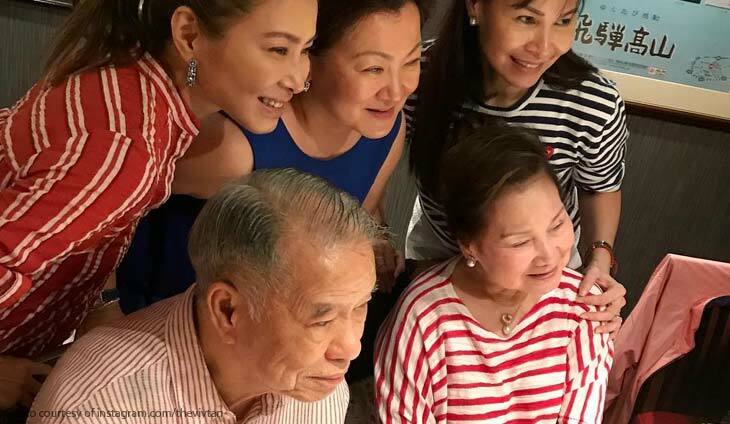 The daughter of bilyonaryo Lucio Tan is ever grateful for her lasting friendships.